People of All Ages Channel their Inner Audrey Hepburn! Bill Cunningham of New York Times shows us how women of all ages channel their inner Holly Golightly from Breakfast at Tiffany’s. Show us your best Audrey Hepburn look with the hashtag #BeingAudreyHepburn on Facebook, Twitter, Instagram, or Tumblr! It’s Audrey Hepburn’s secret. And the secret has finally been revealed thanks to Mitchell Kriegman’s book Being Audrey Hepburn. Audrey Hepburn is the cure to everything. Faking who you are in a relationship? Love in the Afternoon (1957) will cure your insecurities and reassure you that everything will be alright in the end. Or are you tired of feeling like an up-and-coming star? Monte Carlo Baby (1952) will cure your overindulgences. Or do you want to be a teacher? Better yet, have you ever imagined a glamourous life in a private London all-girls school? The Children’s Hour (1961) will cure any desire you have to have children right away. Private school girls can be so mean! Or maybe you’re craving adventure. 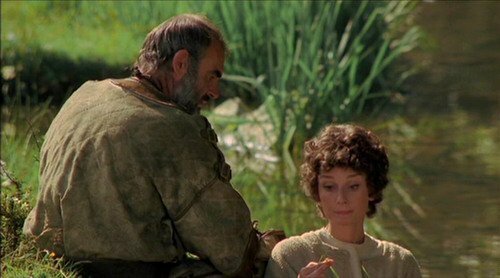 Robin and Marian (1976) will cure your need to go on a Robin Hood like escapade. Or maybe you’re dreaming of inheriting millions. Bloodline (1979) will cure your heiress aspirations. Or are you hoping of becoming a prima ballerina? Or a beautiful, famous actress? Secret People (1952) will cure your doubts and lead to to follow your pursuits! 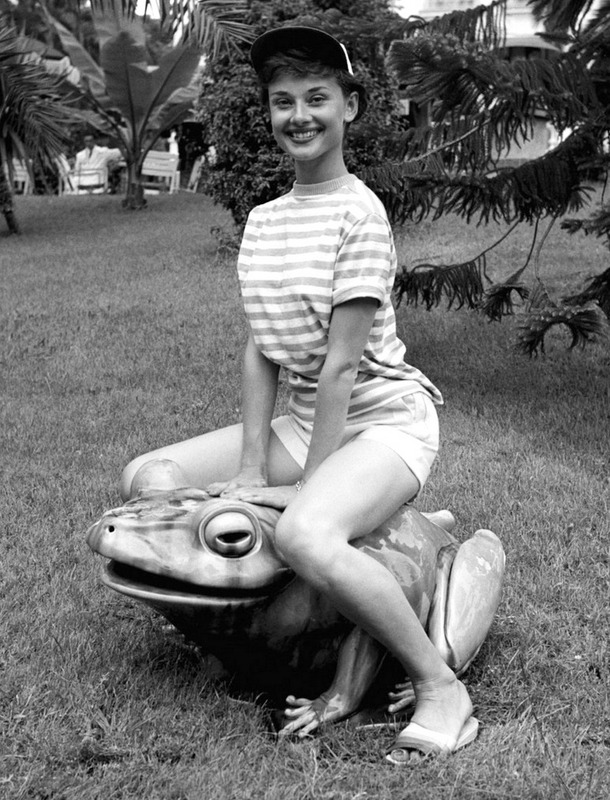 This is Audrey’s first significant role and it was right before she was casted to be the leading lady in Roman Holiday. But maybe I still haven’t cured you. Are you scared someone’s cheating on you? They All Laughed (1981) will cure your fears of infidelity. Because (as weird as this is to say) not all cheaters have an unhappy ending and neither will you. 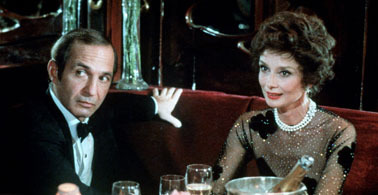 Always (1989) will cure your need to say goodbye to this lovely leading lady. 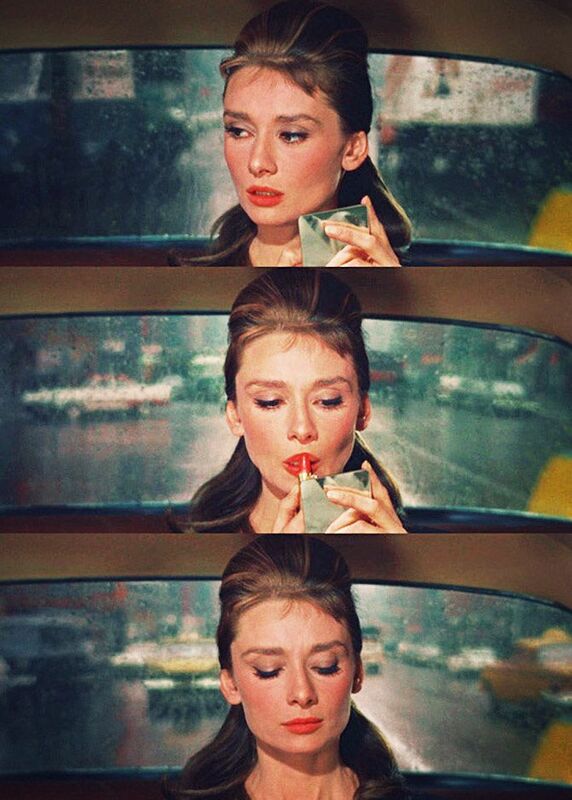 It’s Audrey’s last movie. And don’t forget to order your copy of Being Audrey Hepburn by Mitchell Kriegman available now on Amazon, Wattpad, and GoodReads. Rare Audrey Hepburn: Why a book about Audrey Hepburn? Where did the inspiration stem from? Mitchell Kriegman: I’ve always admired Audrey Hepburn for her acting, sense of style and good deeds but also because of her knack of self-invention and her ability to create her own persona. I think everyone has to do this to some degree in his or her life and people who grow up in adverse circumstances more so. They call it the Pygmalion Effect or the creative transformation of self. No matter how you cut it – to become someone you want to be requires intelligence and a firm notion of who you want to be and a bit of fantasy that you can actually pull it off. People may forget that Audrey Hepburn was a star of a new era, a new kind of icon, a departure from studio-designed movie stars. Women of every age appreciate these aspects of her style, career and persona. Everyone can recite the long list of young actresses who embody her qualities; Natalie Portman, Carrie Mulligan, Lily Collins and so on. So I thought if I’m going to write about a girl who transforms herself what better model could she have than Audrey Hepburn? So I researched and developed this story around a girl who essentially believes the entire myth of Audrey and when she has the opportunity tries to live a fantasy life that way hiding her secret identity. Of course she eventually finds that it’s impossible and she fails but along the way she becomes somebody better. I like to say Being Audrey Hepburn is about a girl who pretends to be somebody else in order to become who she really is. Taken as a whole – the narrative of Audrey Hepburn – her movies, her legend and real life experiences – function as a beacon of self-invention that was so thoroughly effective that no one ever says anything bad about Audrey. Very few public figures have been as successful. It’s part of Audrey’s legend as opposed to say, Marilyn Monroe. Her legend is quite different. I also don’t think an interest in Audrey Hepburn is just gender based. Although this novel is likely to be read by and large by women, Truthfully, men could learn a lesson from Audrey Hepburn as well. RHG: Was this concept something you always envisioned yourself writing about? MK: I came up with the idea twenty years ago when I was finishing up Clarissa Explains it All. When you see this novel in the context of that 90s series it may not seem that big a leap. Melissa Joan Hart (Clarissa) had played one episode where she transformed herself into a goth kind of girl named Jade. That was very entertaining and it started me thinking about how women transform themselves all the time. How clothes are like a “second skin” as Michael Chabon has written. A well-designed dress functions as a cloaking method – to downplay aspects a woman might not want to feature – and as a transformational device bestowing upon the wearer extraordinary powers of grace, beauty, and assertiveness. So you’re in on the big secret right? Audrey Hepburn is the cure to everything. Her movies that is. For example, do you and your friends ever get stuck talking in fake English accents? My Fair Lady (1964) will cure your British accent. After watching this for 2 hours you won’t want to talk funny anymore. Or are you itching to go out and party tonight? 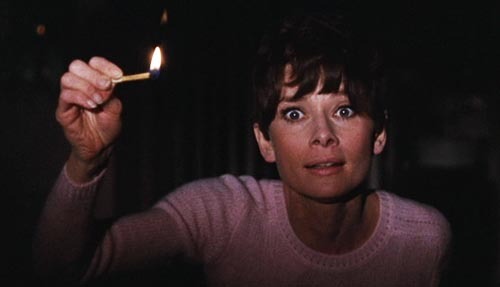 Wait Until Dark (1967) will cure your need to go out at night. Or maybe you’re avoiding writing a paper, or a homework assignment, or something. Maybe you’ve got the blues? 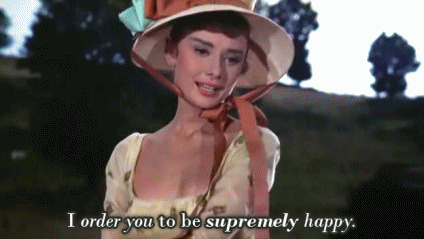 War and Peace (1956) will cure the unhappiness right out of you. Or are you dying to see a western? The Unforgiven (1960) will cure those cowboy blues! Or are you feeling the need to get back into nature? Green Mansions (1959) will cure your need to run wild with the forest’s animals. Plus did you know Audrey Hepburn ended up adopting this adorable deer from the movie? It’s name was Pippin and she took it everywhere! 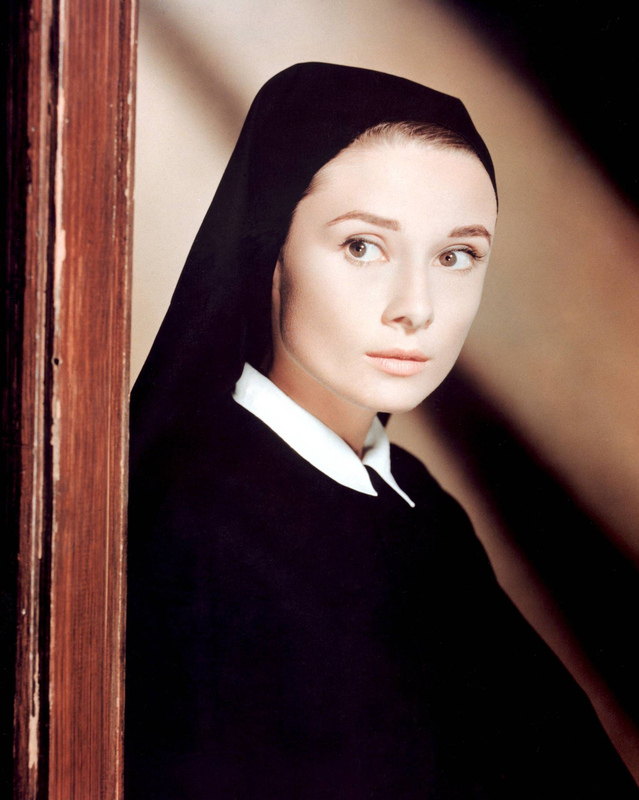 But no matter what movie you watch you’re always in for fantastic Audrey Hepburn style. For example, are you in the mood for Mod? Two for the Road (1967) will cure and refresh your flower child’s sense of style. These are just a few of Audrey’s movies, but each one of them will cure a need you have. Come back later this week and check out our third installment of The Audrey Hepburn Movie Cure And of course check out our first installment of The Audrey Hepburn Movie Cure if you haven’t already. But most importantly don’t forget to order your copy of Being Audrey Hepburn by Mitchell Kriegman (out tomorrow September 16, 2014!!) and sign up for our email subscription list because you don’t want to miss out on our weekly updates. Here’s the big secret – Audrey Hepburn is the cure for everything. From anger to overwhelming joy, from sadness to uncertainty, there is an Audrey Hepburn movie cure for everything. Dumped by your lifelong crush? Sabrina (1954) will cure your broken heart. Roman Holiday (1953) will cure your need to be someone else for a day. Because this movie proves that even beautiful princesses get tired of being royal sometimes. But maybe that’s not your style. Maybe you’re tired of being a bookworm. Funny Face (1957) will cure the fantasies of your inner literati. Or are you having a crisis of conscience? The Nun’s Story (1959) will cure your dilemma. And if you’re anything like me, sometimes you just can’t stand your family. Got family secrets to cover up? How to Steal a Million (1966) will help you plan your next family heist (or at least forget about them for a while). 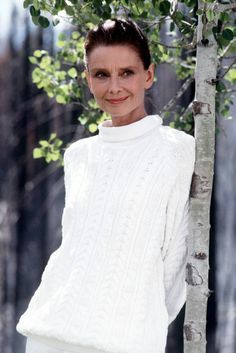 But note: we can’t all steal million dollars and look this good doing it but Audrey Hepburn sure can. Or are you ready for a vacation escapade with a little intrigue in Paris? 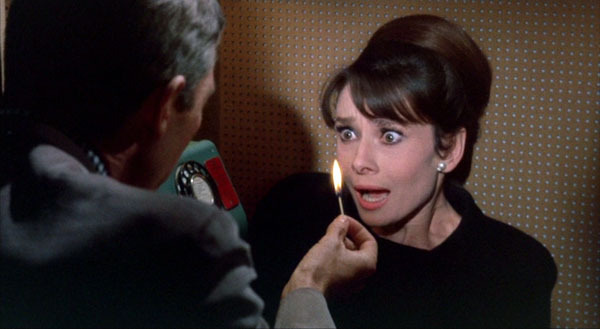 Charade (1963) will cure your need to quit your job and move to Paris. Breakfast at Tiffany’s will cure the mean reds, the bluest of blues, and brings light to people during the darkest of times! And don’t forget to order your copy of Being Audrey Hepburn by Mitchell Kriegman. How to throw a party like Audrey Hepburn! When throwing an Audrey inspired party, do not forget to look the part. Just remember, less is more. Audrey embodied elegance- in every form of the word. Don’t be afraid to pull your hair back into that loose yet polished Audrey-inspired bun to keep your hair low-maintenance. Not afraid to let it loose? Go for a voluminous blow-out that is sure to impress your guests. Just don’t over-do it. As for your wardrobe, stick to timeless pieces that show off your personality. Audrey never failed to dress for the person who mattered the most- herself. Feeling girly? Choose a flowery Roman Holiday inspired frock. Need to look more professional? You cant go wrong with a two piece skirt-suit similar to the one Audrey modeled in Charade. If you’re dying to encompass that sultry Audrey style, pair your distinctive flare with a LBD. Just remember: Be graceful, be stylish, be simple and be yourself. Focus on those that are kind in nature. Forget the “friends” you feel compelled to include for the wrong reasons. Like Audrey- you should seek out the good in people, but do not be afraid to detach yourself from those with bad intentions. Hors d’oeuvres are key. Audrey always had something in her hand. Whether that was a purse, a drink, or even an old fashioned cigarette- at most times, one hand was occupied. This will often hold true for your guests. Focus on small, bite size snacks for your guests to enjoy. Sitting down? You can’t fail with Audrey’s all time favorite- Spaghetti al Pomodoro, or put more simply, Spaghetti with tomato sauce. It is quick, inexpensive, and you can beautifully garnish the pasta with herbs and vegetables. Don’t be afraid to take risks with a fun specialty beverage. Tie one drink into the theme of your party. This will give your guests a fun memory from the occasion. Feel free to have you food and beverage be self-serve. Guests can take- or make what they prefer. This creates a more friendly environment. Create a calm ambiance where guests can graceful move around without interference. Including high top tables for areas that are standing room only are a great way to encourage relaxed conversation. Also, a great spot to rest a plate full of hors d’oeuvres. Greet each guest as they arrive with grace and poise- channel that inner ballerina from Audrey’s adolescence! Expecting to receive gifts? Opt for your guests to donate to your favorite charity instead. Need some suggestions- Audrey was a UNICEF ambassador. As the creator of Clarissa Explains It All, Mitchell Kriegman long ago cemented his place in the hearts and minds of early-’90s Nickelodeon viewers. But Kriegman has done much more than create Clarissa, including writing on Saturday Night Live and serving as the executive story editor on Rugrats, The Ren & Stimpy Show, Doug, and Rocko’s Modern Life. His latest project is Being Audrey Hepburn, a YA novel about a spunky budding social climber due out later this fall on St. Martin’s Press. The A.V. Club talked to him about his novel, that Clarissa Explains It All book, and what exactly happened with CBS’ ill-fated Clarissa Now pilot. The A.V. Club: First off, why a book and why this book? Mitchell Kriegman: I actually started out as a short-story writer and wanted to write novels from the get-go. This is an idea I had way back when I was doing Clarissa Explains It All like 20 years ago. There was a moment where Melissa [Joan Hart] could have played this part and done this story. There was an episode of Clarissa where she became Jade, which was this sort of alter ego who was a play on where Melissa came from in Long Island. Jade was a Long Island girl that was sort of goth. On all the episodes we did, we tried to keep her from falling into a Long Island accent, which I’m sure she doesn’t do anymore, but she did. In that episode, we encouraged her to be this Long Island girl. It’s this whole idea of a transformation and a girl who is becoming somebody else. I felt that was a really cool idea. I thought a lot about this idea of somebody creatively transforming themselves. And why a novel is because I think that, right now, the way the world has turned, the novel is once again a really contemporary form. It’s popular fiction and popular culture now. Instead of being an esoteric thing like it was maybe 10 years ago, novels are as current as TV or film. Everybody was supposed to have stopped reading by now, but it didn’t happen. And novels share a lot with TV because movies are the most stultifying form right now—to me: They’re an hour and a half to two hours, they’re finite, there’s a structure that you expect everything to happen in, and then it’s over. And all the big stuff has to happen at the end, so characters don’t change and develop very much anymore. TV has broken out as being this sort of novelistic form that goes over long periods of time and evolves, and change in characters happens. Novels are also that way, still. I really wanted the chance to develop a character over a longer period of time and story.